I became an attorney out of an affinity for problem solving, a desire to assist others, and an appreciation for debate and logic. Growing up, few things made me happier than being a person who others confided in and looked to for advice. It felt like an honor. To this day, practicing law continues to provide me this same type of satisfaction, albeit on a much larger, more important, and challenging scale. It is a privilege to be selected by clients to serve as both their counselor of law and their advocate in the courtroom. The way I unwind: With an old beat-up guitar, preferably made in the late 1950s or early 1960s in Kalamazoo, Michigan. Favorite food: Sushi for lunch, and steak for dinner. Favorite band: Led Zeppelin, by a mile. Favorite restaurant: In Michigan, Voyager in Ferndale. Outside Michigan, Anthony’s Seafood and Flo’s Clam Shack in Middletown, Rhode Island (I literally own a framed copy of the menu). If I wasn’t a lawyer, I’d be a…. : Teacher or guitar luthier. Beach or mountains: Beach, preferably with family and a book. Matt joined Altior in 2019 after practicing for nearly a decade with a boutique commercial and securities litigation firm. 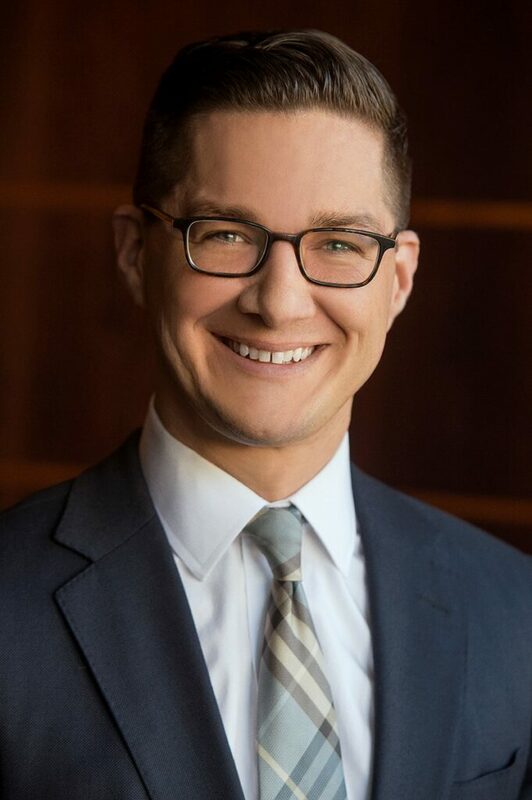 Since graduating from Wayne State University Law School in 2009, Matt has represented clients in all stages of litigation through trial and appeal across a variety of matters in state and federal court. Frequent areas of his practice have included contact, fraud, state and federal securities litigation/arbitration, and business litigation, including intra-company disputes between owners, officers, and directors. Matt also has extensive experience in litigating claims under the Racketeer Influenced and Corrupt Organizations (“RICO”) Act, actions to enforce non-competition and non-solicitation agreements, and trade secret litigation, amongst others. In addition to his litigation practice, Matt serves as a case evaluator and is a trained civil court mediator. He has been recognized as a “Rising Star” numerous times by Michigan Super Lawyers in the areas of business and securities litigation, which is awarded to up-and-coming attorneys either 40 years old or younger, or in practice for 10 years or less. Prior to entering private practice, Mr. Smith proudly served as the Chairperson of the Board of Directors of the Free Legal Aid Clinic, Inc. (FLAC).